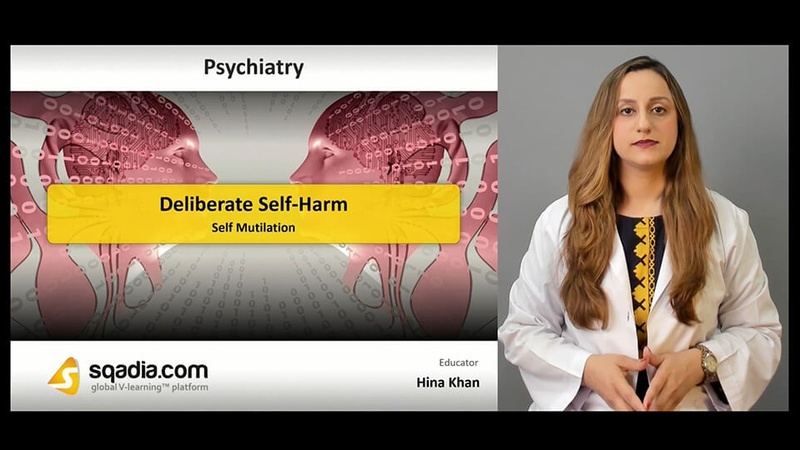 The cornerstone of this sqadia.com medical video lecture is deliberate self-harm. Starting from defining deliberate self-harm, predisposing factors of self mutilation, and risk factors of suicidal attempts are discussed. Methods adopted for suicide, self-harm assessment, along with self-harm behaviour also comes under consideration. 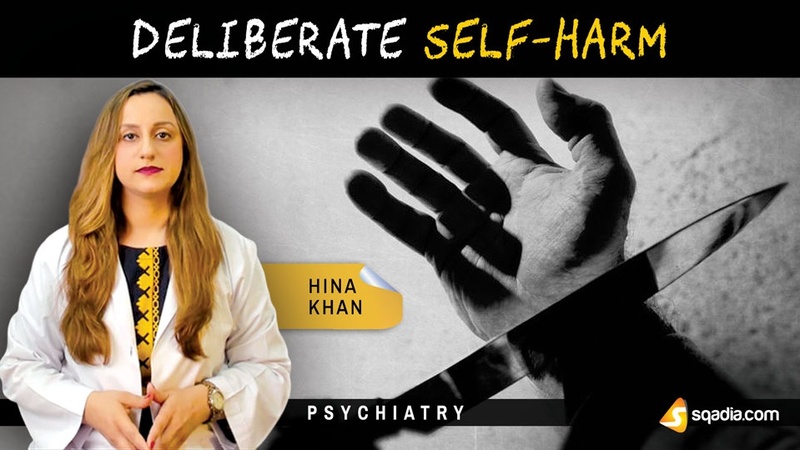 Then Dr. Hina Khan puts forth the management of self-harm. 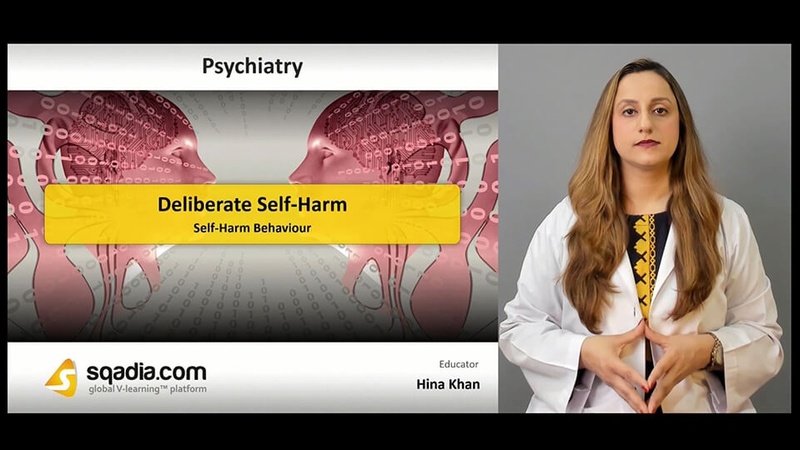 Self-harm or injury irrespective of the apparent purpose of act is referred to as deliberate self-harm. Familial developmental problems, early parental loss through bereavement, personality disorder are predisposing factors. Dr. Hina Khan describes how to differentiate SIB from suicide attempts. After that suicide and suicide attempt is also briefly deliberated in this section. People with repeated history of deliberate self-harm are most likely diagnosed with personality disorder. Suicide is the act of intentionally causing one’s own death. Risk Factors associated with suicide are unemployment, stressful life events in preceding 6 months, relationship difficulties. Methods adopted for suicide include hanging, self-poisoning, and jumping. 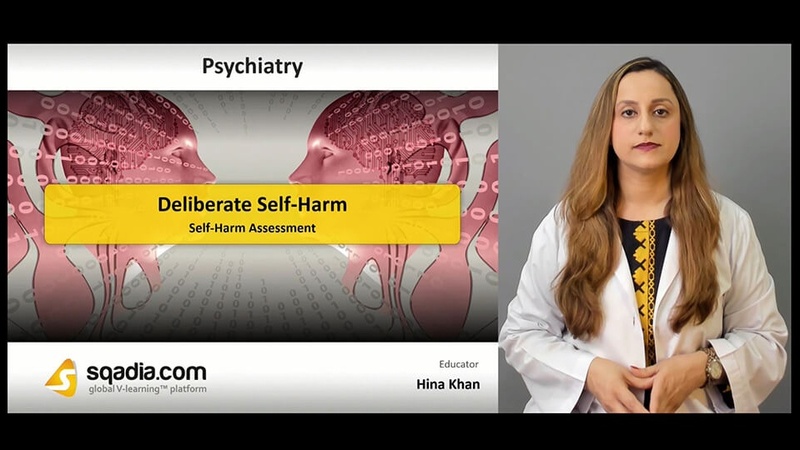 Factors to consider in self-harm assessment are medical fitness, current suicidal ideation, presence of mental illness, and options for immediate and future treatment. Then Dr. Hina Khan bring into discussion the typical questions to be asked in assessment of risk. Following this information about management is given. Assessment of DSH patients is also pursued. Patients under influence of drugs and alcohol are irritable. Such people cannot make eye contact and are reluctant to speak. Precursor events of self-harm behaviour are argument with partner, argument with parent, and cumulative thoughts. After the self harm, the self-harm behaviour indicates that such people regret the incident and are distressed by the failure. 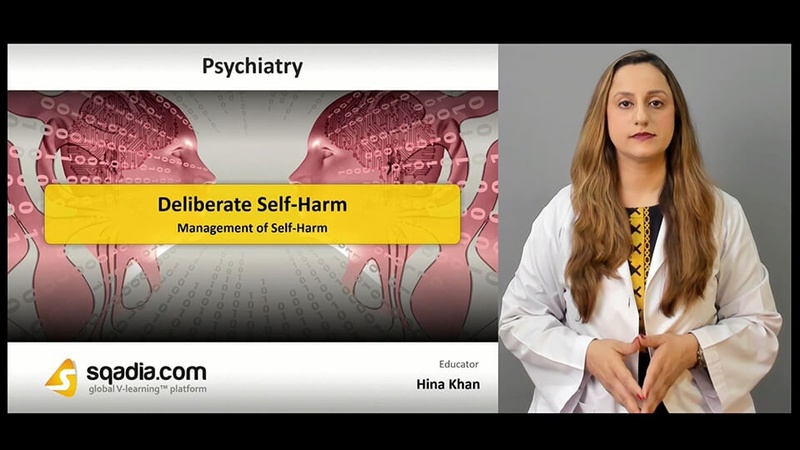 There is an acute plan and a chronic plan for management of self-harm. In acute management, patient is medically safe and stable. In long-term management, risk factors need to be managed, it should be noted that was this an impulsive self harm? Or was this a repeated self harm?